Navy quarterback Keenan Reynolds was back on the Heisman voting homepage Thursday, a day after a fan uproar when it was discovered that record-setting quarterback he had been automatically removed from the main ballot in an online fan poll for college football’s most prestigious award. The controversy erupted Wednesday afternoon, when @NavyAthletics sent out a tweet that they’d noticed Reynolds’ name mysteriously missing from the main page of ESPN’s fan voting contest for the Heisman trophy. A Deadspin story fueled the fire, and by that evening, ESPN had given a statement to the Washington Post about why Reynolds had vanished from the page. “Keenan Reynolds has not been removed and still leads the Nissan Fan Vote leaderboard. However, as noted above the fan voting site, the Heisman candidates featured on the page are fed through ESPN’s Heisman Watch – a weekly editorial poll of several college football experts. As the poll adjusts throughout the season, it is reflected in the candidates represented on the voting page,” said ESPN spokeswoman Ana Livia Coehlo, in an email to Navy Times. 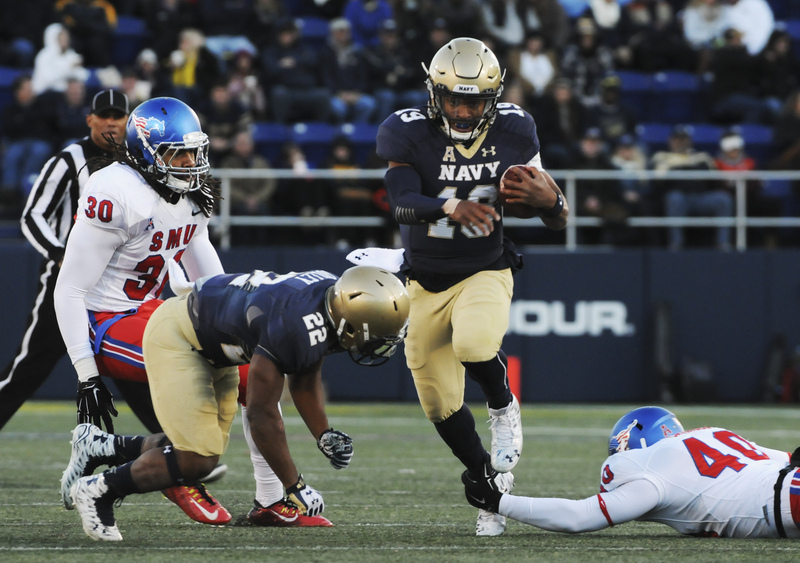 In November, Reynolds broke the NCAA record for career rushing touchdowns and has become one of the most talked about Navy quarterbacks since 1963 Heisman winner Roger Staubach. But because the experts hadn’t cast any votes Reynolds’ way since the academy’s 52-31 loss Saturday to Tulsa, Reynolds had fallen off the homepage. The timing is still odd, however, Navy Athletics’ spokesman told Navy Times. The confusion, he added, came from the fact that what appears to be the ballot is populated by ESPN’s panel, not by who is doing best in the voting. With more than 30 percent of the fan votes, Reynolds supporters had to effectively write him in. No longer. He’s back on the main voting page of top contenders. “What has happened with this thing, it’s actually just created even more interest,” Straseimeier said. Heisman finalists will be announced Monday, ahead of an awards ceremony on Dec. 13 in New York.